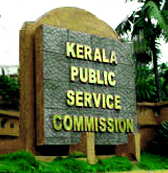 Kerala Public Service Commission(KPSC) invites Online Applications from fresh BE/Btech passouts from Agriculture/Agricultural Engineering/Rubber Technology/Forestry for the Assistant Manager post in the organization. Posted in Agricultural Engineering, Agriculture, Agriculture Engineering, Apply online, Freshers, Government Job, Job After Btech, Rubber Technology, Without Experience. Tags: Apply online, fresh BE/BTech passouts, government job fresh btech, Kerala PSC recruitment, Kerala Public Service Commission jobs, KPSC Assistant Manager Post on April 17, 2014 by Neeraj.